Discover a vacation unlike any other at the Sanibel Cottages Resort. Find your dream Floridian home-away-from-home at the resort with the timeshare resales and rentals on SellMyTimeshareNow.com. 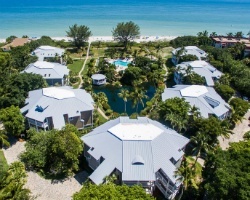 Located in one of Florida's best destinations, the Sanibel Cottages Resort provides a luxurious beachside getaway on the shores of Sanibel Island. 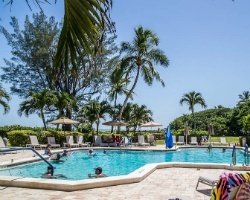 The resort comes equipped with a flurry of on-site amenities like an oceanside location, an outdoor swimming pool, a hot tub, and so much more. With many of Sanibel's best attractions incredibly close in proximity, there's no wonder why guests keep coming back to the Sanibel Cottages Resort. Accommodations at the resort are filled with modern furnishings and incorporate a distinct Floridian design to help you get into that vacation state of mind. The luxurious two bedroom suites are spacious enough for groups of six people, perfect for families or small groups of friends. With an array of homelike accommodations, including up-to-date entertainment systems, fully-equipped kitchens, and furnished screened balconies perfect for watching the sunset, you'll instantly fall in love with your own timeshare unit at the Cottages. 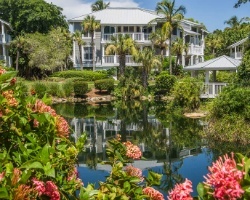 Are you ready to find your dream Sanibel Island accommodations? Fill out the form on this page or call a representative at 1-877-815-4227 today for more information. Owning a timeshare at the Sanibel Cottages can provide you with great trips each and every year that are packed with exclusive perks. However, buying that timeshare on the resale market allow you to save thousands while securing those same great solutions. Timeshare resales are sold by current timeshare owners, not the resort itself. This means that timeshare ownership units at the resort are priced more affordably—you can save up to 70% by purchasing a Sanibel Cottages Resort timeshare on the resale market and still enhance your trips to Florida. Resales at the Cottages are typically available in deeded fixed and floating weeks through Hilton's Silver, Gold, and Platinum seasons. You can also find timeshares at the resort available in Hilton Grand Vacation Club points, which offer a more flexible way to plan trips. Narrow your results by price, unit size, and desired amenities to find a unit that matches your vacation preferences, and unlock even greater vacation potential through the Hilton Grand Vacations Club. The Sanibel Cottages Resort is affiliated with the Hilton Grand Vacations Club, giving you the opportunity to join one of the world's most popular vacation clubs. While you can't enroll in the club at the Elite level with a timeshare resale, you can still take advantage of some amazing exclusive benefits. You can utilize Hilton points to make reservations at the resort each year, or bank and borrow those points to discover different vacation possibilities next year. Use unused points to claim more HHonors rewards to use at Hilton resorts and hotels. Finally, you can spend points for stays at different Hilton resorts around the globe to broaden your horizons. The Sanibel Cottages Resort, Sanibel, FL is affiliated with RCI, the world's most popular timeshare exchange brand. 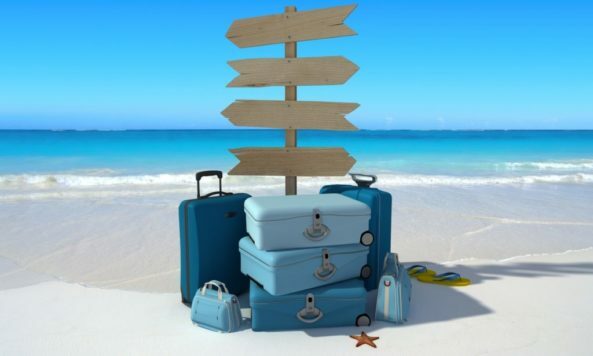 Exchanging your timeshare can help you get the most out of your resale ownership, as it can take you to new destinations all over the world. You can trade for other resorts around Florida, or even venture out to new areas like the Caribbean, Mexico, California, and others. Simply deposit your Sanibel Island accommodations into RCI's exchange network and trade for stays at comparable resorts around the globe. The Sanibel Cottages Resort features a wide range of on-site amenities and features to make your vacation comfortable and convenient. The resort's heated swimming pool and hot tub are the perfect places to relax, while the tennis courts are ideal for some friendly competition. The barbecue grills and picnic areas provide quick solutions for outdoor meals, while the covered parking and free WiFi are essential services that will help you enjoy your stay. 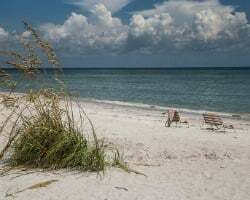 Nearby, the Sanibel Island area is ripe for exploring. Find the beach just a few steps away for all the swimming, paddle boarding, or sunbathing your heart desires. Golfers will also love the Ten Thousand Islands location, with great courses at Sanctuary Golf Club and Sanibel Island Golf Club. Head toward the docks for deep sea fishing excursions or sailing tours around the island. Outdoors will love trekking the J.N. Darling National Wildlife Refuge or kayaking through its many waterways and inlets. Don't miss perfect photo ops at Bowman's Beach or the Sanibel Lighthouse. Already Own at Sanibel Cottages Resort?